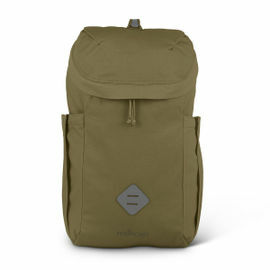 The Savotta Light Border Patrol backpack was originally designed for the Finnish Border Patrol and is now used by the Finnish Military Forces. 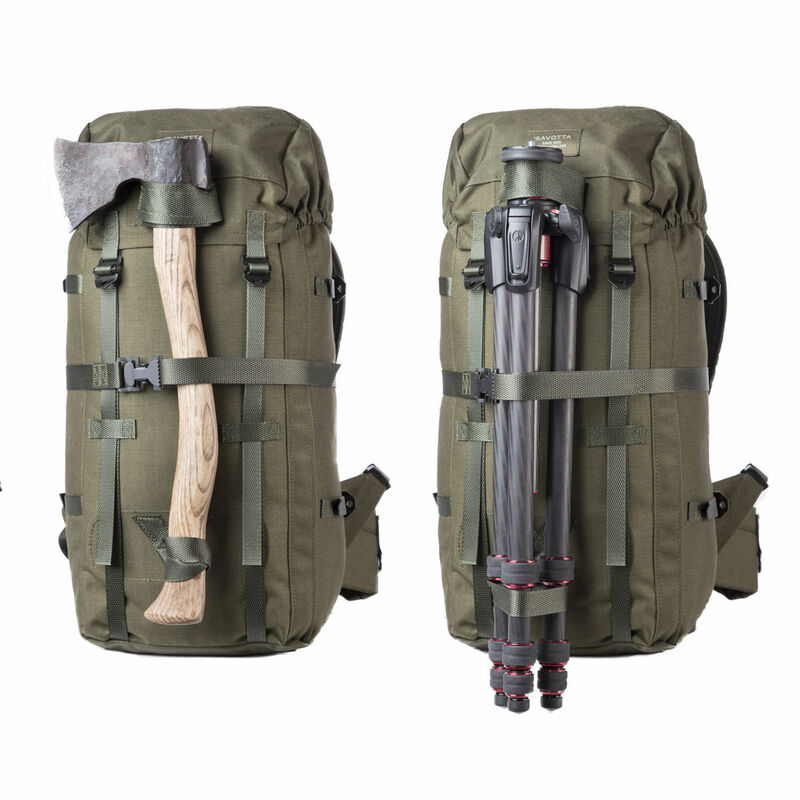 Thanks to its features this pack is also recommended for outdoor enthusiasts, including skiers and hunters. 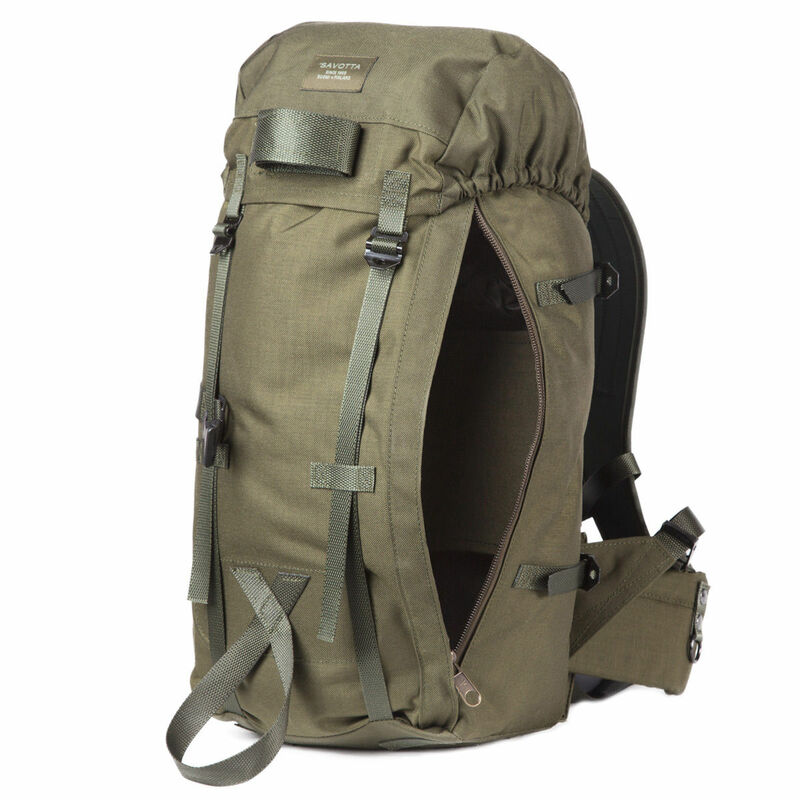 The pack has a slim low profile shape, and mainly consists of one large main compartment. This compartment is the size of the whole back frame and is ideal for carrying a hydration bladder or other flat items and equipment. 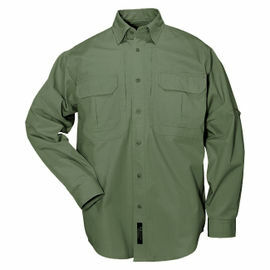 A top quality product, produced in Finland using the best materials available. 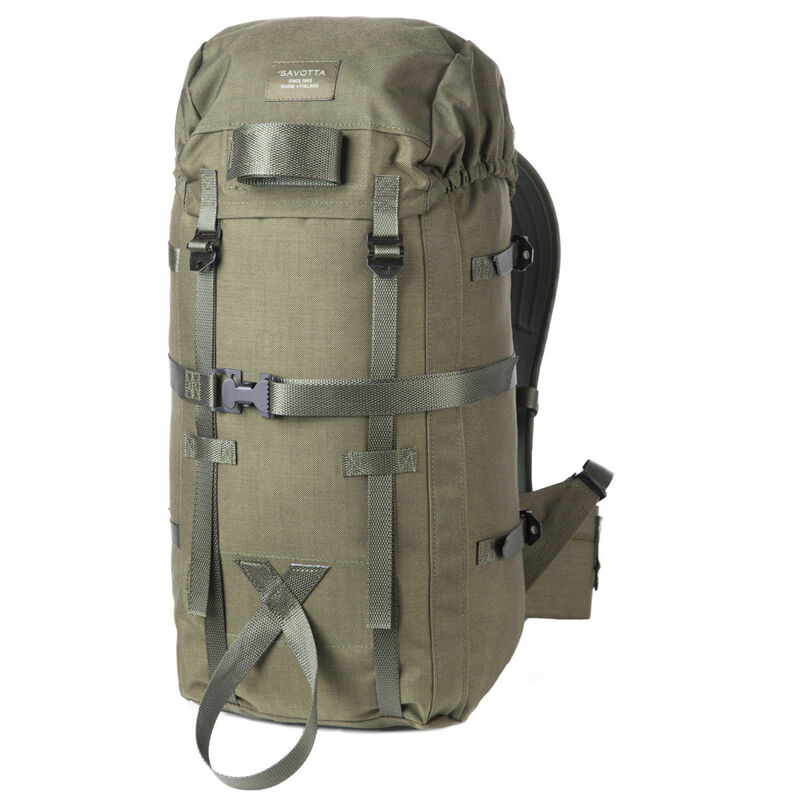 The Light Boarder Patrol 25lt Backpack is extremely durable. 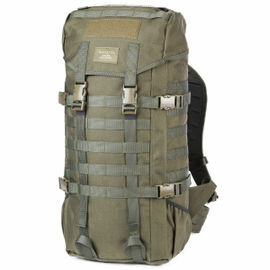 Produced in Cordura 1000D material with metal buckles makes this pack very tough and nearly indestructible. The back panel is stiffened with a removable plastic sheath and has two aluminium straps for even more sturdiness. 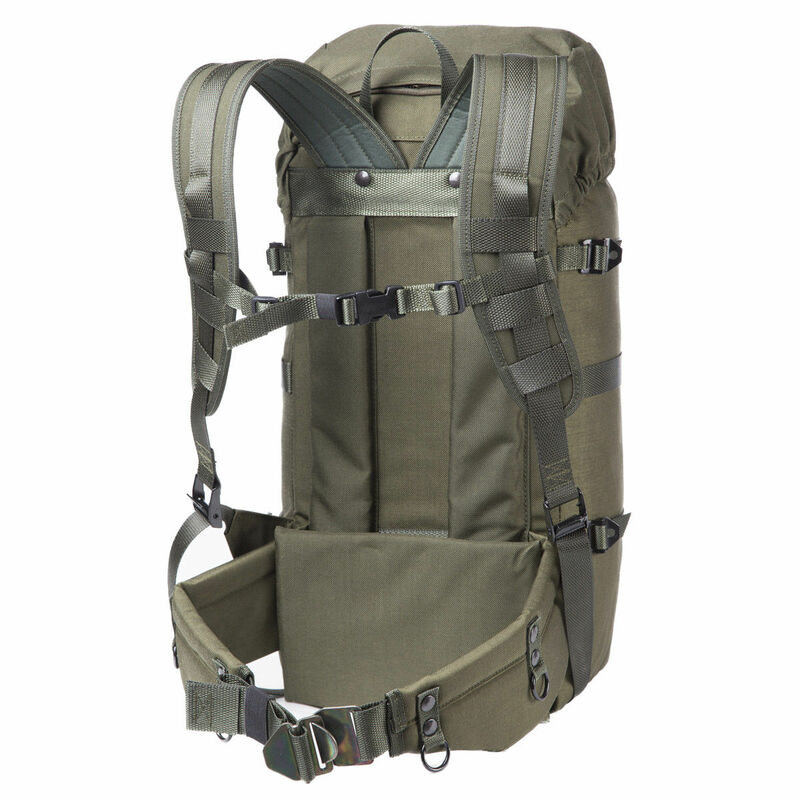 The pack comes with large ergonomically shaped shoulder straps, a hipbelt, and has a thick padding in the lower back, which makes it very comfortable to carry. The backpack features weapon mounting straps for a rifle or a shotgun, which is why it is popular amongst both hunters and military users. 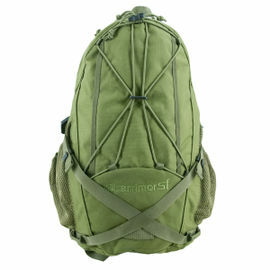 The rucksack also features a zipper on the right side which allows for quick access to the main compartment. There is a holder for a Thermos flask inside the bag so you can always find it, where it should be. There are compression straps on each side to allow for a good compression of the pack and for additional gear to be attached. There are also very useful straps and loops on the base of the pack which allow you to attach a sleeping mat or a wool blanket.